Clarity to the spoken word, harmonic musical tones, and premium sound quality for choral music is the target goal for every house of worship. The unfortunate truth is that the majority of these spaces fill with unwelcome levels of echo as the services begin, which in turn, generates levels of background noise that blur sound signals and distort the audio in the room. The congregation strains to understand the spoken word, as the echoes combine to drown out the clarity to sound. 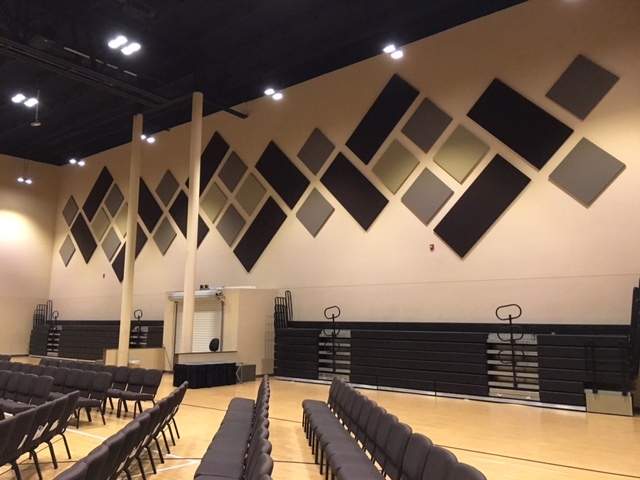 The key to making your church sanctuary sound better is to target the reduction and elimination of the echoes in the room using acoustic panels and sound absorbing tiles. The goal with your soundproofing treatment is to improve the sound quality within your space by lowering your level of ambient echo. When echoes collapse back, greater clarity to original sound is restored, and the room instantly becomes a more user-friendly space. 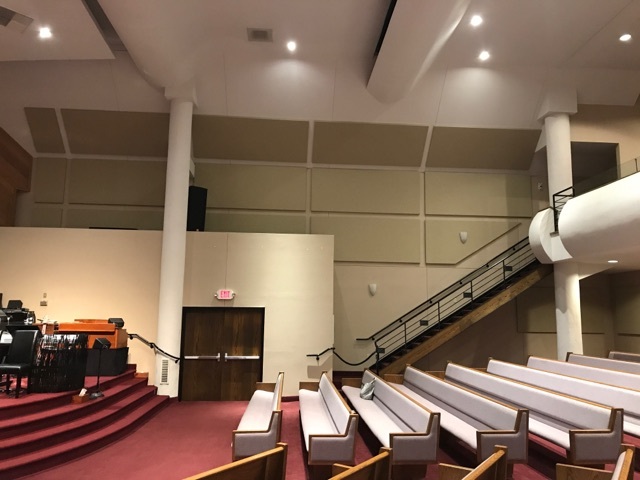 Sound panels, wall or ceiling mounted for your church sanctuary, can combine to absorb the echoes, as long as product selection, panel thickness and quantities are accurate. That’s where our 25 years of soundproofing experience will play to your advantage, as we guide and coach you through your treatment. Once the project is defined, approved, shipped and installed, you will notice an immediate drop in your level of background noise, and clarity is restored to your sound signals. As a result of your treatment, your sanctuary will sound better. It is all about the art of controlling your echo. The most popular sound panels designed for soundproofing sanctuaries are our cloth wrapped acoustic Fabric Panels. These decorative sound panels, wall or ceiling mounted, will combine to absorb the sound wave reflections in your space. The acoustic panels can be cut to the panel color and size of your choice. They are shipped with a set of clips that make them easy to self-install, and can be placed as you wish around the perimeter of your church sanctuary. The key to the sound values you are seeking lies not in where you position the panels, but in ensuring that we deliver the right amount of panel to your Sanctuary based on your room dimensions. Step one in your journey is to feed us your room’s dimensions. In turn, we will run your Room Analysis, calculate your coverage amounts and quote your project back. Your Sanctuary Sound Panels can be cut to size and color as you wish to create a stunning visual presentation to your space. They can also be wrapped in a color designed to disguise and blend in unnoticed to your perimeter wall or ceiling surfaces. 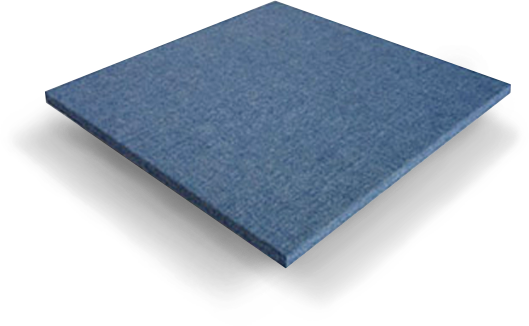 2″ thick panels are recommended if you host contemporary services, while 1″ thick panels are the ideal for traditional services. The thicker panel will accelerate low base absorption coefficients stemming from drum beats and base guitars. The Fabric Panels are available in 60 decorative color options, with free samples readily available to ship at no charge to help you make your choice. Fabric Panels will offer beauty and premium sound quality to your Sanctuary. These panels are easy to self-install, class A fire rated, durable, decorative and will combine to capture those echoes and restore your Sanctuary to premium sound quality. Your congregation will thank you. Your sound panels will drop ship to your doorstep. Our treatments are cost effective, and designed for self-installation. Be sure to visit our Case Studies Library where we post a variety of recent soundproofing treatments recently completed. The variety of treatments will give you a good glimpse into the quality of our projects, the visual beauty to the panels, and the testimonials that come with them. An irregularly shaped room provides premium sound quality when designing a sanctuary. By fanning out the walls and angling the floor and ceiling surfaces, sound waves will be forced to scatter, which in turn breaks apart any standing sound waves. This will help to disburse sound signals more equally to every member of the congregation no matter where they are seated. Surface textures will generally include brick, block, concrete, drywall and glass. Carpeting the floor is a popular option, but it is not necessary for reaching premium sound quality. Once the room is constructed, sound panels for sanctuaries are then recessed into the cavity spaces around the room’s perimeter. This helps aid in the capture and conversion of unwelcome echoes. Acoustic panels absorb the background noise that would otherwise distort the sound signals within a sanctuary. By lowering noise levels, you can expect better sound clarity and clear music or speech. This eliminates any strain in hearing from the congregation, especially for senior citizens, and protects your attendance at worship services. 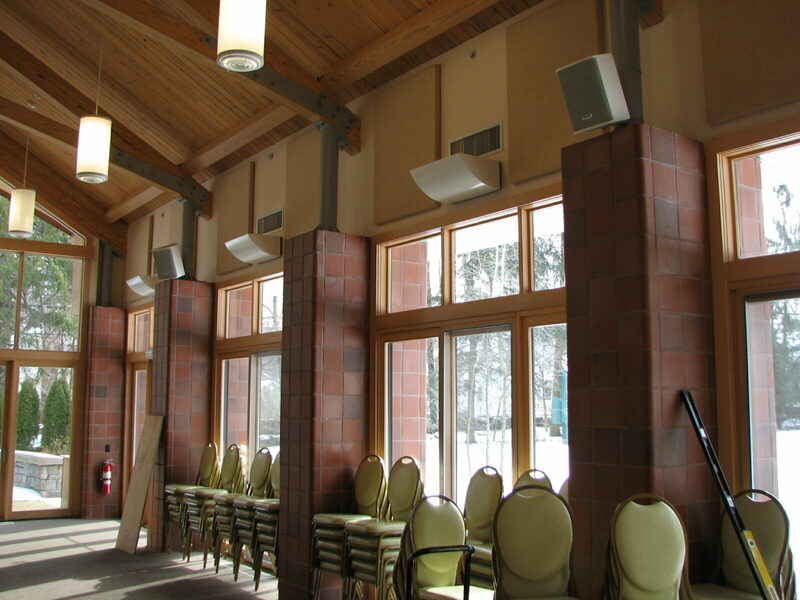 Sound panels for a sanctuary capture the background noise and transfer it out of the room. This allows original sound to resurface and generates better music and speech clarity. By controlling the echoes within the space, you’ll produce a more favorable worship experience for your congregation. Clarity in communication is compromised if the sanctuary is filled with too much disruptive background sound. By controlling the level of background noise with a set of sanctuary acoustic panels, the spoken word is delivered in a more clear, crisp tone that your congregation will appreciate. What Happens to Your Membership if Worship Services Suffer from Poor Sound Quality? As the worship experience adjusts over the years, there is no greater investment than utilizing a sanctuary sound system. By introducing noise reduction, you are protecting the worship experience and your membership rates. Without investing in sound panels for sanctuaries, attendance will drop by as much as 30% due to your noise levels. Because drums and bass guitars produce lower frequencies, thinner sound panels have a hard time capturing and converting the sound. Without a thicker version of our Fabric Panels, the bass tones will take over the room and make mid to high frequencies indiscernible. This generates a level of acoustic imbalance that will confuse and frustrate your congregation. If your services are traditional — using only a choir, organ and human voice — the 1” thick Fabric Panels are perfect. For contemporary services, upgrade to the 2” option. 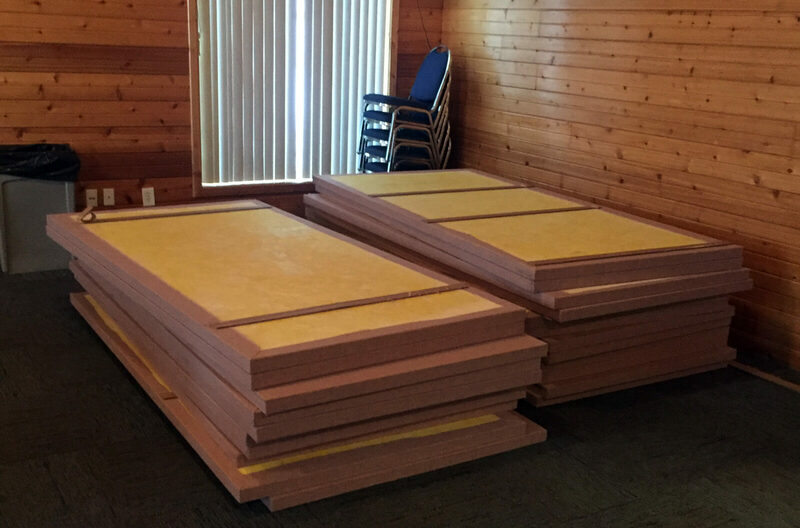 How Many Sound Panels Does Your Sanctuary Need, and Where Should You Place Them? Total coverage for your sanctuary acoustic panels depends on the size of your space. Use our Room Analysis form to submit your room’s dimensions. We will generate a report and email your sound panel count. The key to success for soundproofing your sanctuary is to not undertreat the space. As for placement, the goal is to evenly spread the treatment around the room’s back and side walls. You should also place a backdrop behind live musicians. The quantity of your sound panel treatment is more important than the location. You will absorb the background noise as long as you have the right amount of sound panels evenly dispersed around the room. Clip systems will be shipped with your sanctuary sound panels to help you easily anchor them to your perimeter wall or ceiling surfaces. These clip systems can be applied to brick, block, drywall and most any other room surface. Be sure to share your surface textures with our sound consultant so we know which version of the clip will best suit your installation. Every church we work with is on a tight budget. Soundproofing your sanctuary is an investment that requires great care and thought. Our StartSmart series is a free email tool that we built for our clients. It delivers timely messages back that target cost saving opportunities related to your upcoming soundproofing project. The series is popular with our clients, we invite you to sign up today. This innovative tool is designed to help define the framework for your upcoming soundproofing treatment, and quote your project back. The key to the success of your Sanctuary sound panel treatment lies with getting the coverage amounts right. Use this form to submit back your room’s dimensions. In turn, we will generate your Room Analysis and quote back your project. Call 1-800-638-9355 for any questions!